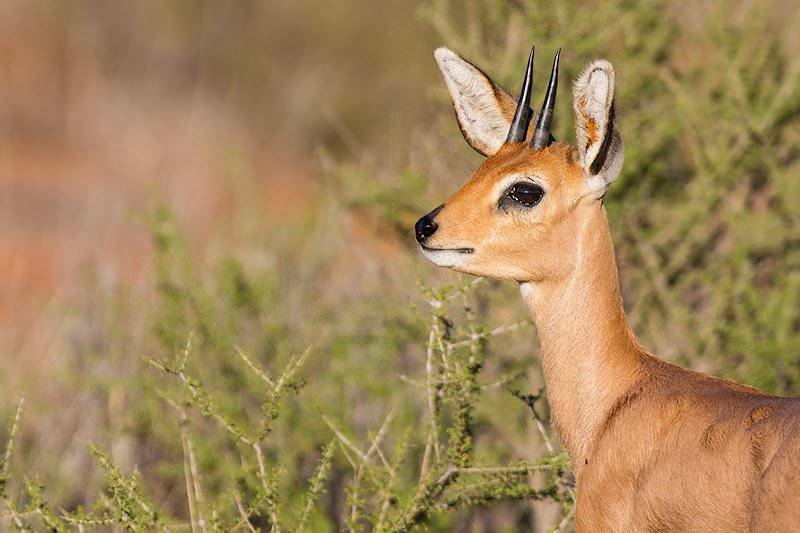 The handsome little steenbok of 'the Little Five' makes a beautiful full mount trophy. 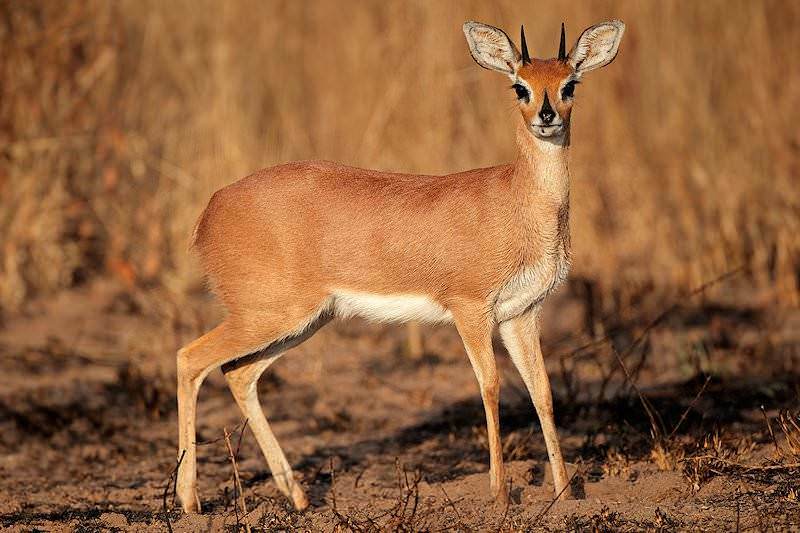 It may look like “steenbok” (long e), but it is normally pronounced “ste-inbok” (long i). 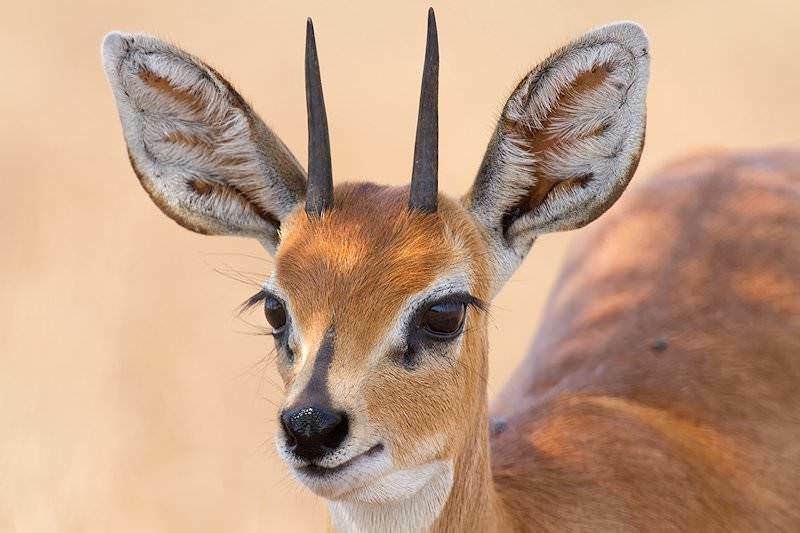 This can lead to a bit of confusion, at least for some Europeans, as the name “steinbok” is the German name for the ibex. 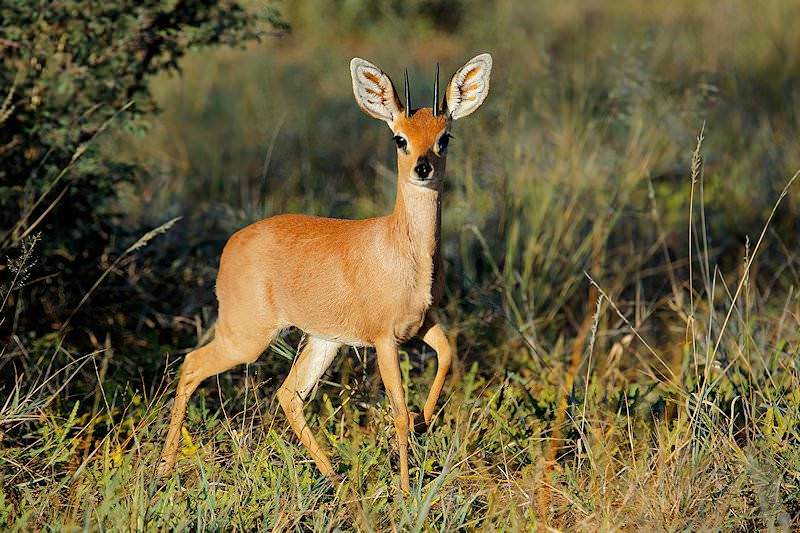 The steenbok is the largest of the mini antelope associated with the 'Little Five'. 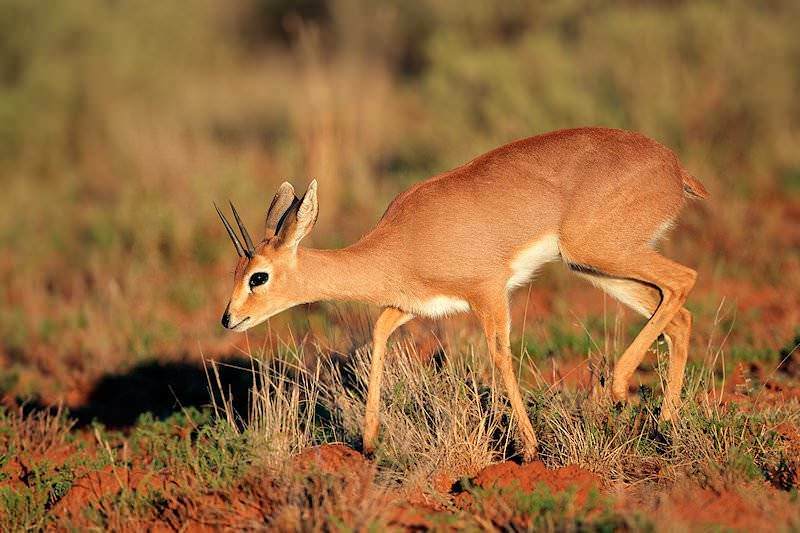 These beautiful little antelope occur widely on the open plains, not fond of the thick forest, mountains, or desert regions. 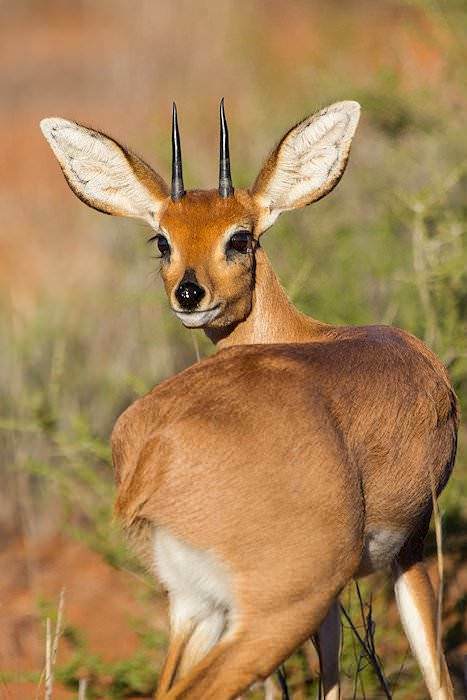 Only the males carry the very upright horns and they are largely solitary, only found with the ewes when in estrus. 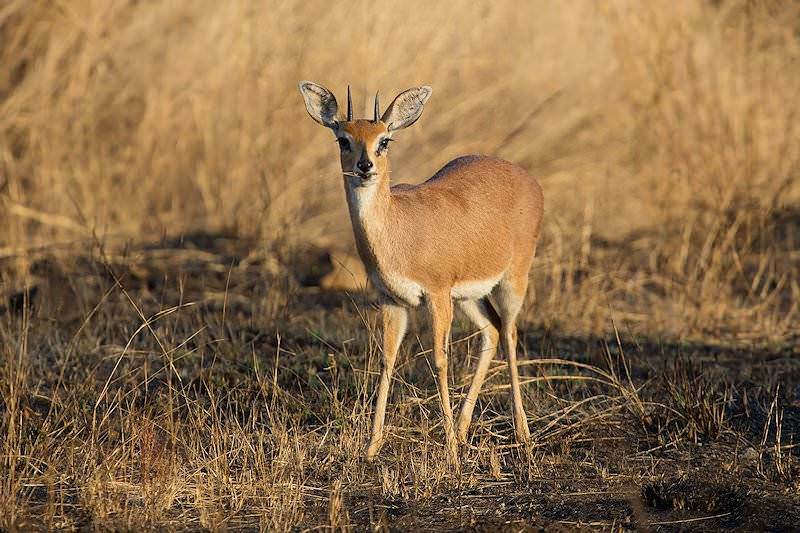 Like many of the other antelope species, these little guys are most active during the morning and evening hours and, where they are pressured, tend to be nocturnal. 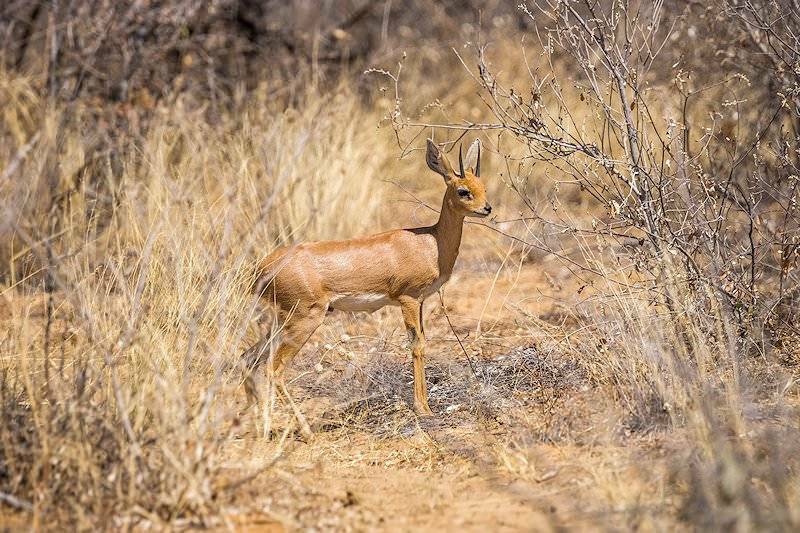 Both rams and ewes can be extremely territorial, defending their territory against all invaders. 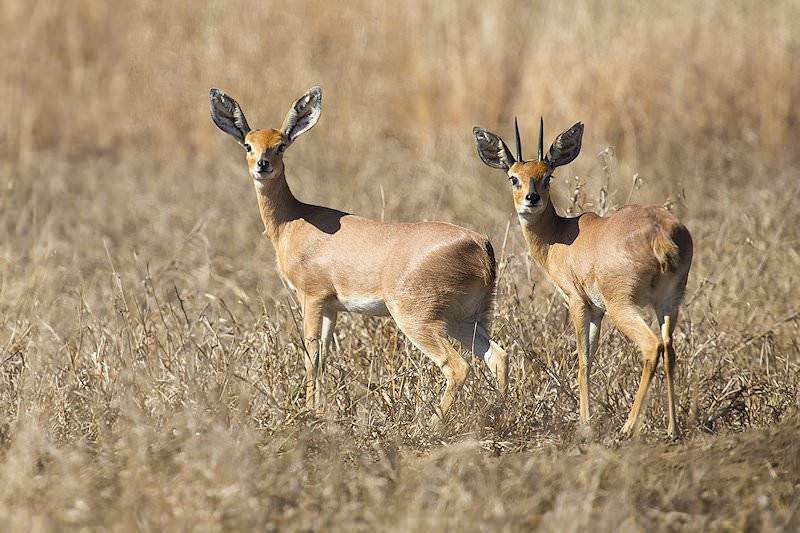 Juveniles take flight when an adult approaches. 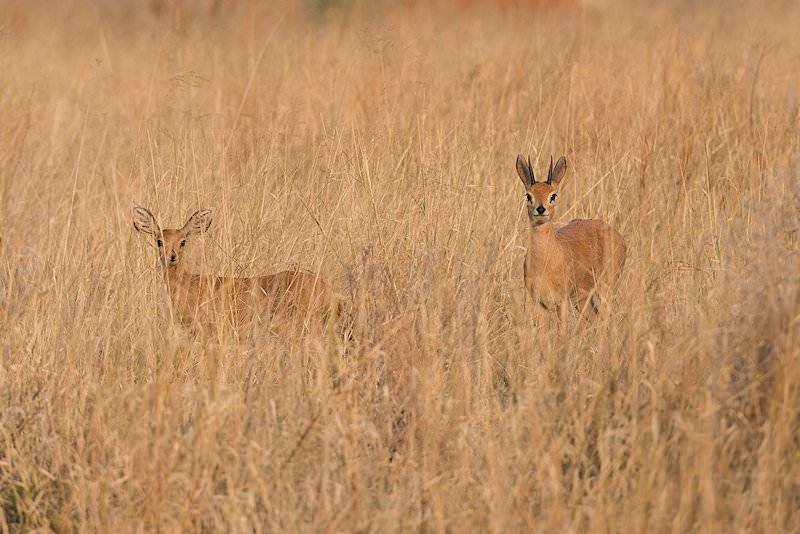 When hunting steenbok, stalk carefully, as your quarry will lie flat in the grass to avoid detection. 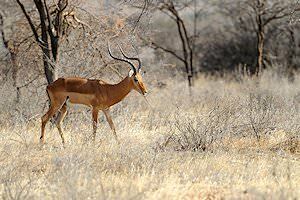 He will only flush at the last moment, running away with great speed. 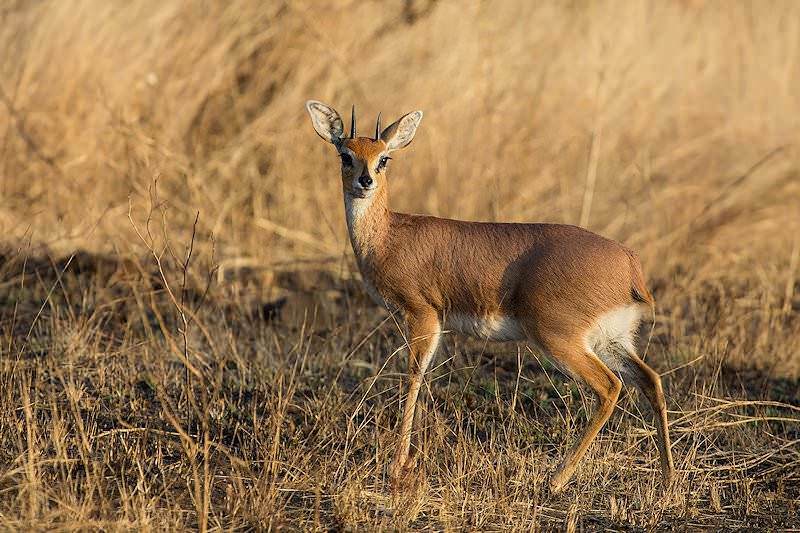 If you can get your heart 'jump-started' after this fleeting encounter, be ready, as the steenbok is sometimes known to pause for a moment to look back before continuing his flight; there is his mistake, and there is your shot. 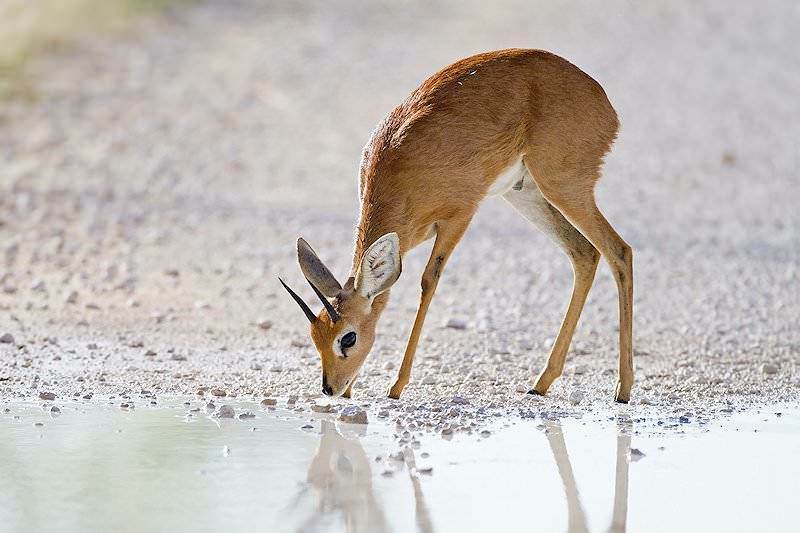 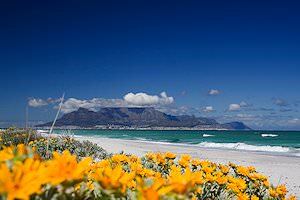 Mainly a browser, the steenbok will occasionally graze on newly sprouted grass. 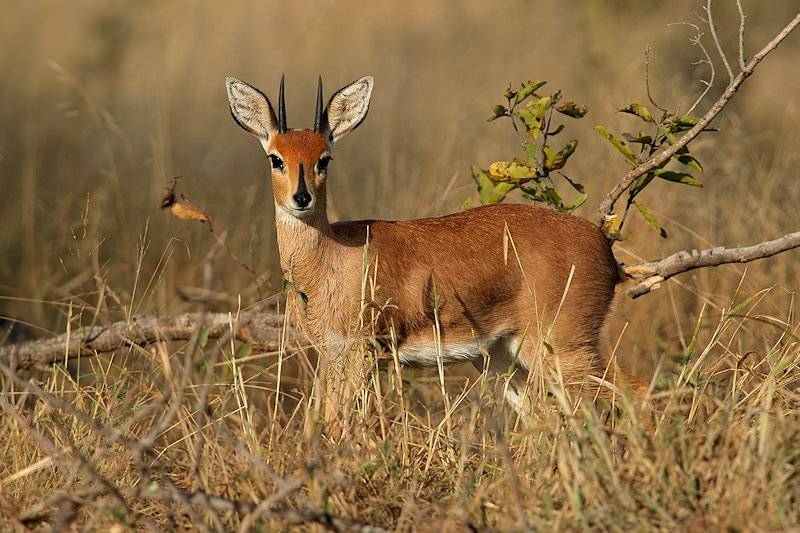 Patience is key when hunting steenbok; like the other mini antelope, his super refined senses, relative small size, neutral coloring and his tendency to stay hidden, make him a real challenge to hunt. 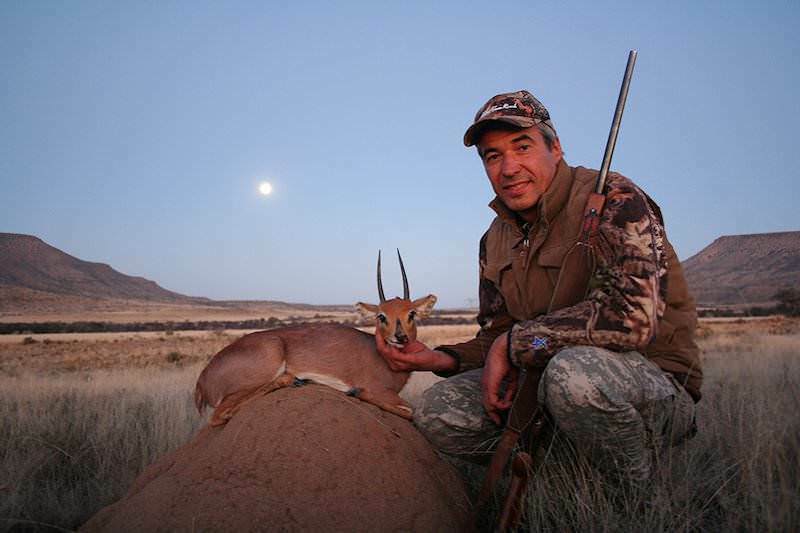 Often taken during a chance encounter while hunting other game, all calibers have been used successfully. 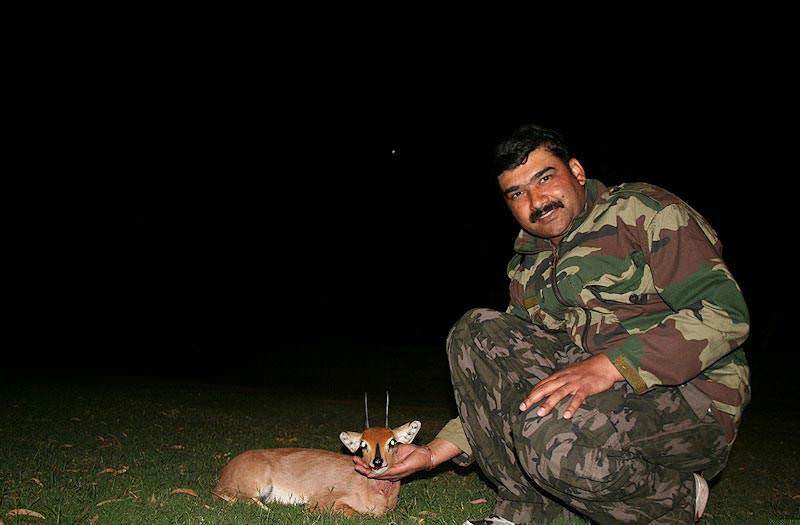 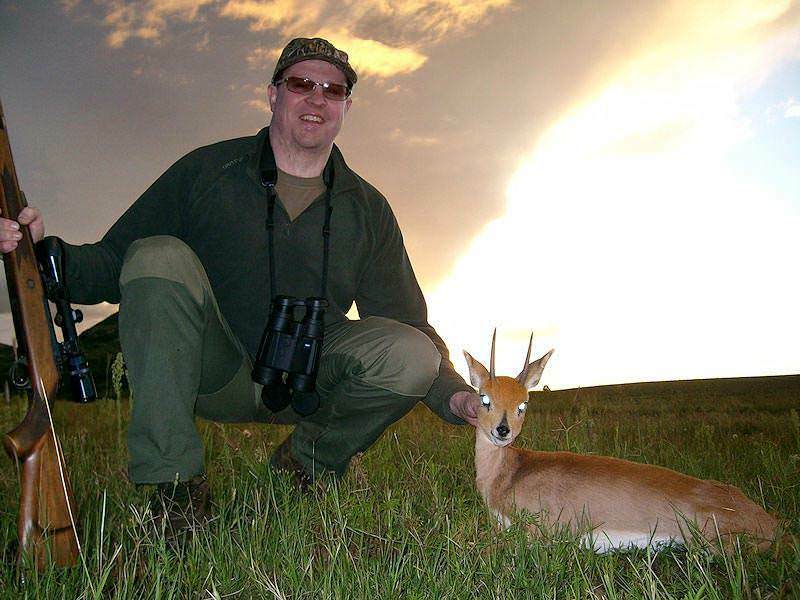 You will probably be forced to shoot with whatever you have in your hands at the time of the sighting. 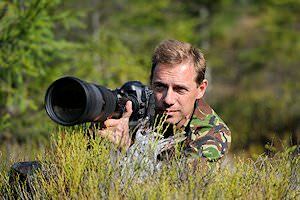 A good scope will be a definite advantage, but 4X will be enough, as the shot will most likely not be long. 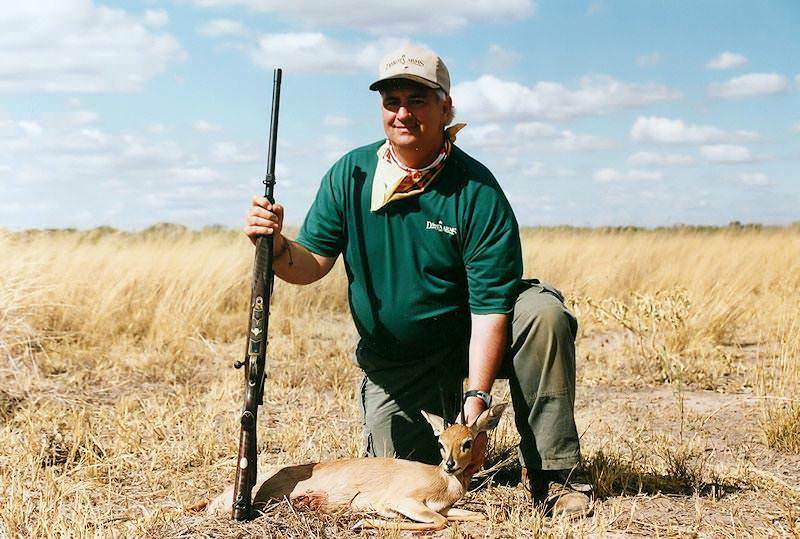 With a side on presentation, the high heart/lung shot is best; aim straight up the foreleg one third to one half into the body. 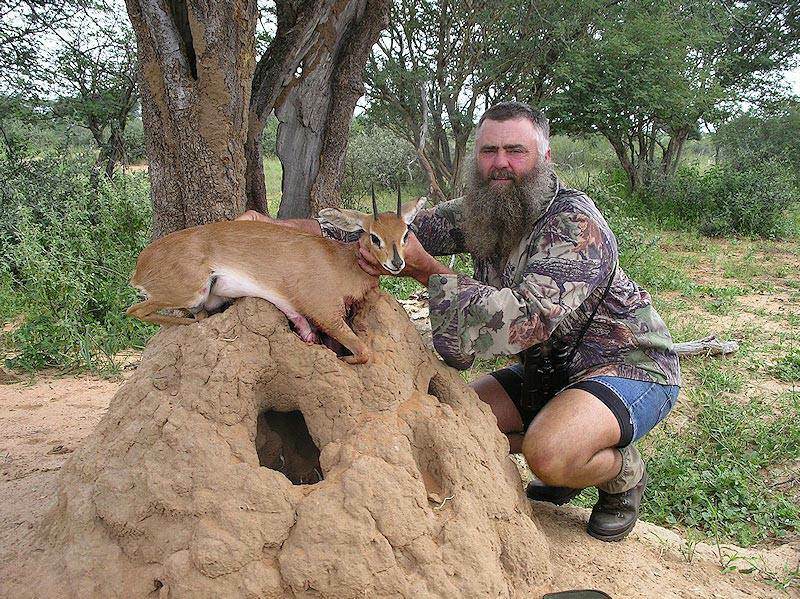 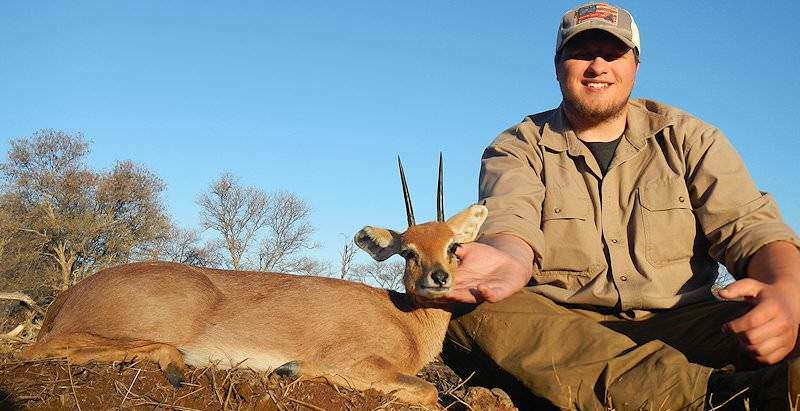 Rapidly expanding bullets will usually anchor the little steenbok and make the trophy much easier to find. 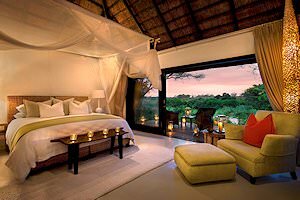 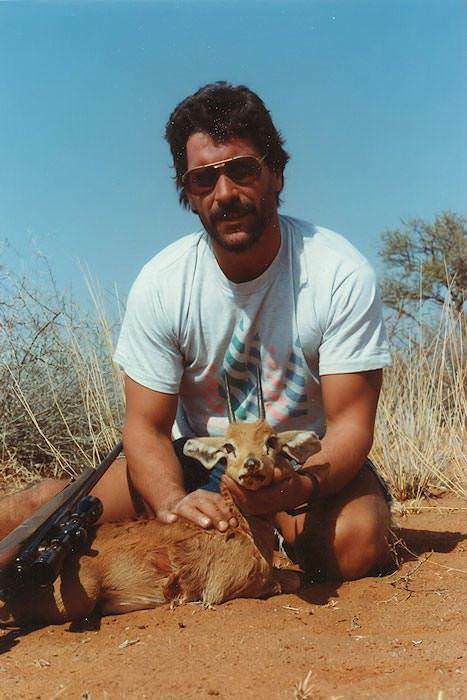 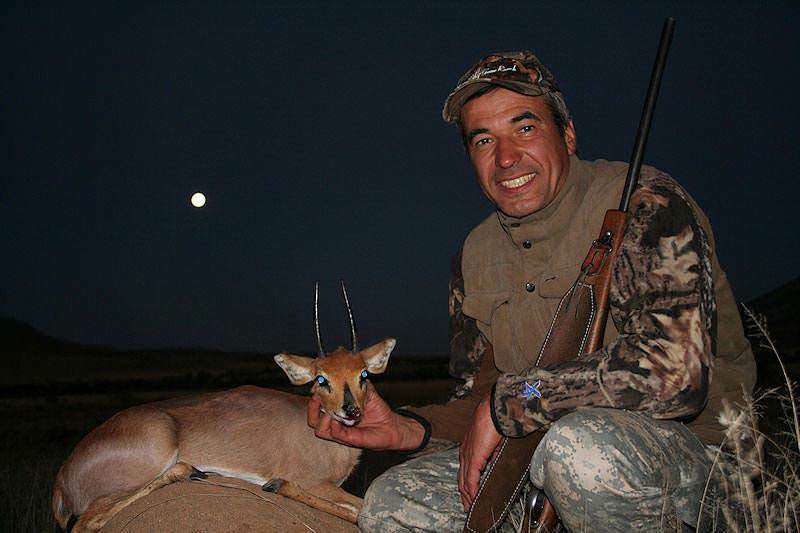 Hunting steenbok by choice or by chance encounter can be a rewarding experience and net a wonderful memento to accent the wall in your trophy room.